I have chickens. Yesterday, a very frosty morning, I was cooking breakfast and watching the chickens chase the blue jays and cardinals who kept trying to land in their yard (most likely hoping to steal some of the chickens food, even though they have a feeder in the front of house) The chickens were running around with their wings spread so quickly over the frozen ground. It inspired today’s Free Digital Stamp, which is also my art for a new challenge I’m participating in, Art Every Day Month. 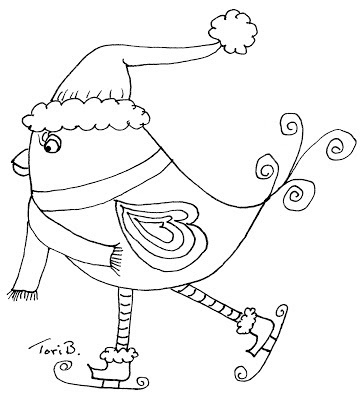 To save Ice Skating Birdie to your computer, click on the preview above to open the full size image. Right click on the picture, and save to your computer. 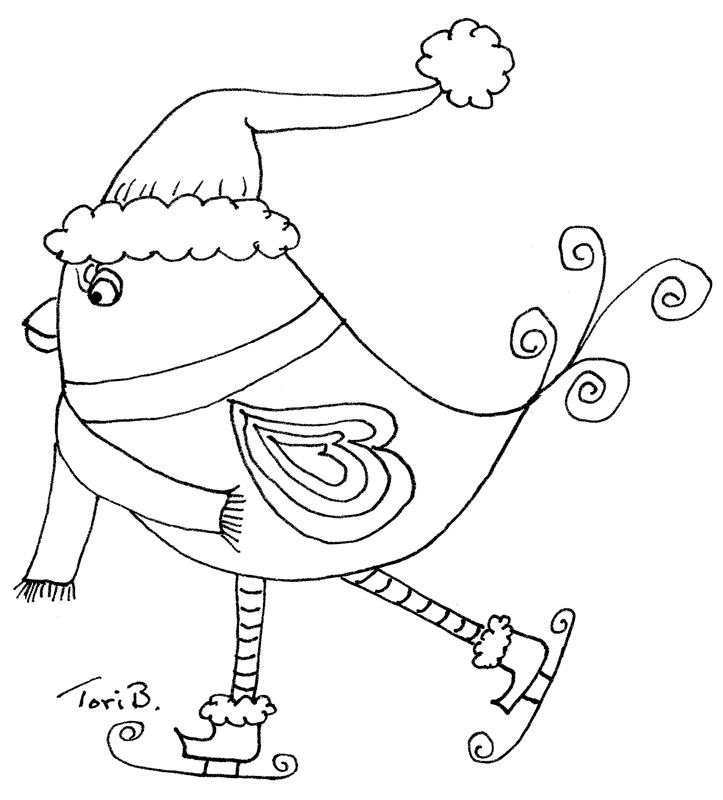 Posted in freebie, Tori Beveridge and tagged card making, Crudoodle, Crudoodles, digi stamp, digital stamps, doodle, free, line art, paper crafts, scrapbooking, Tori B. Thanks so much for the adorable bird!! Thanks for the cute birdie. Just adorable Tori. Thanks so much for sharing this freebie! Such a cute birdie. Thank you!!! Thanks so much – he's so cute! I just wanted to thank you for sharing your art work with us. So cute – thank you!